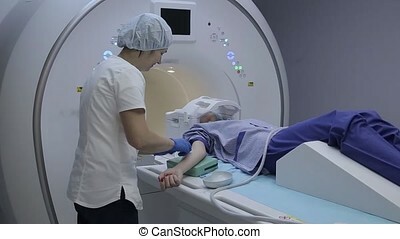 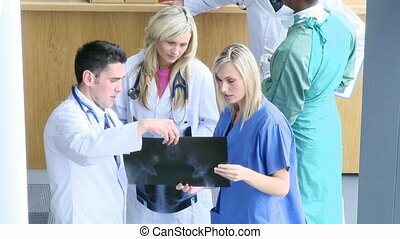 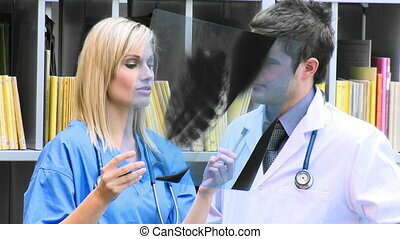 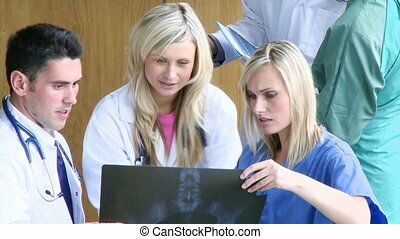 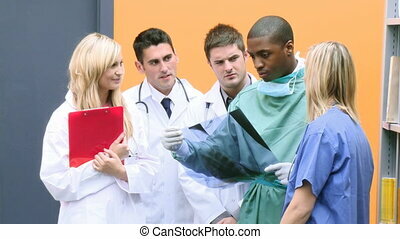 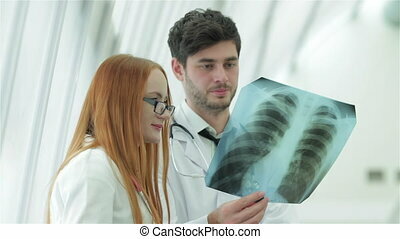 Doctors examining the x-ray of a ch. 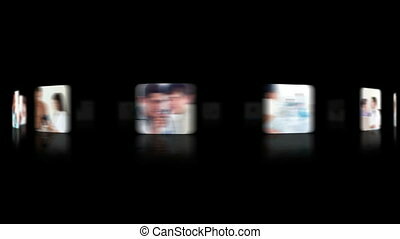 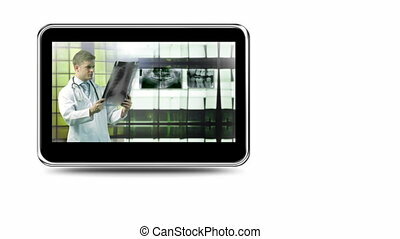 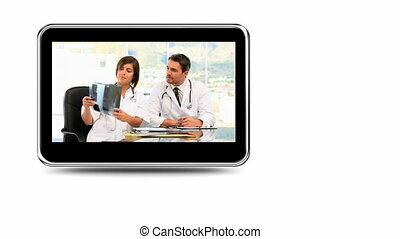 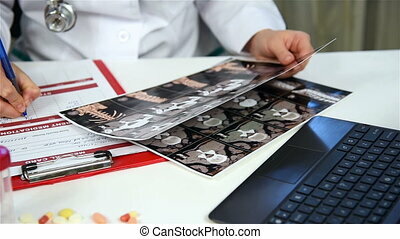 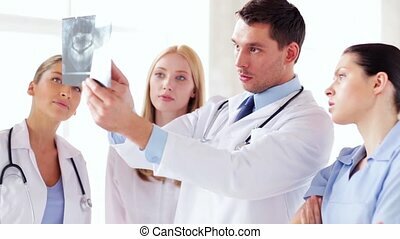 Animation of doctors examining the x-ray of a child. 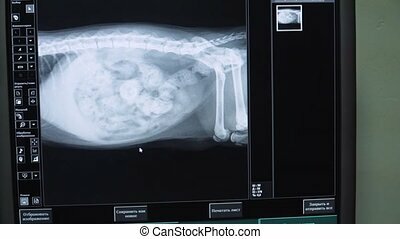 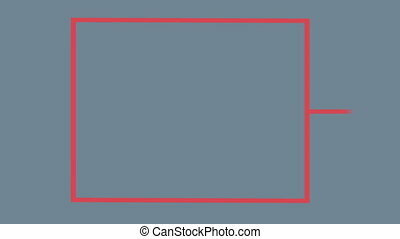 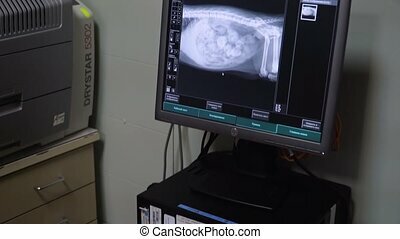 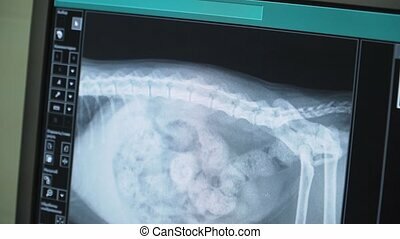 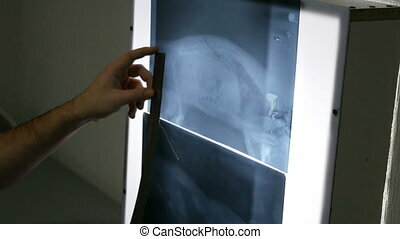 X-ray image of the dog on the monitor in a veterinary clinic. 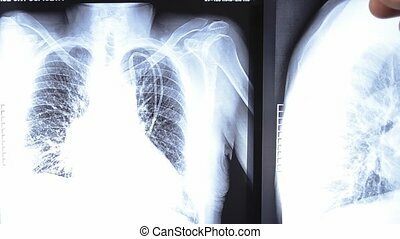 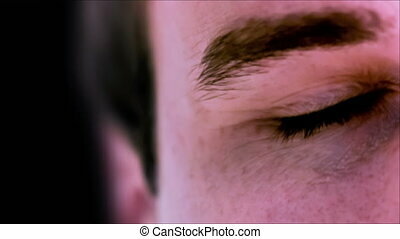 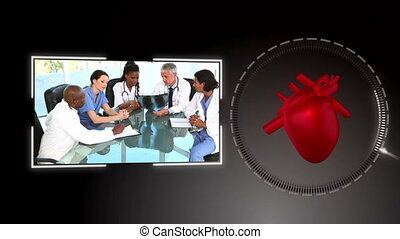 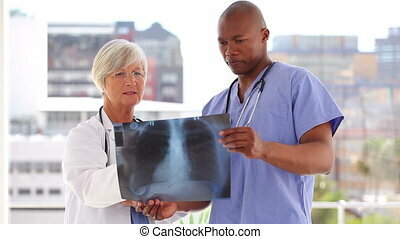 Healthy lungs and the dangers of smoking. 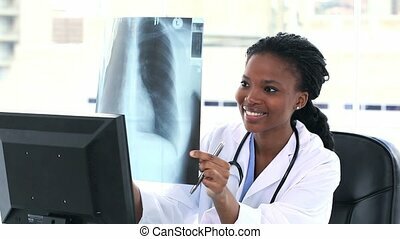 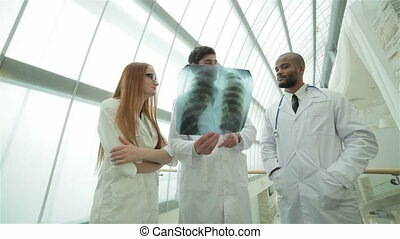 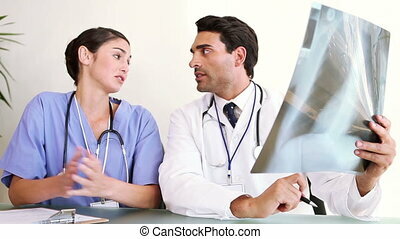 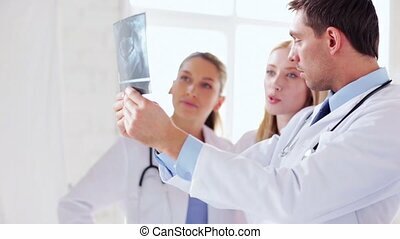 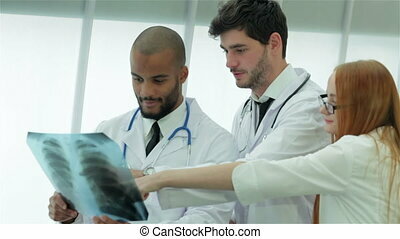 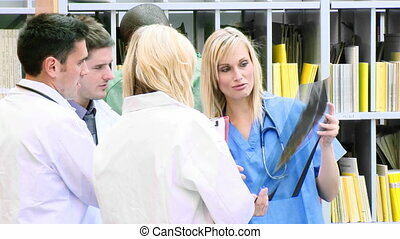 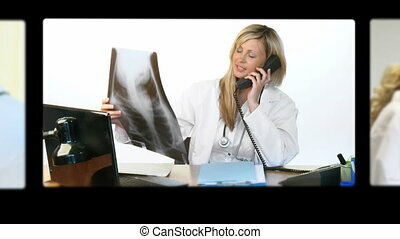 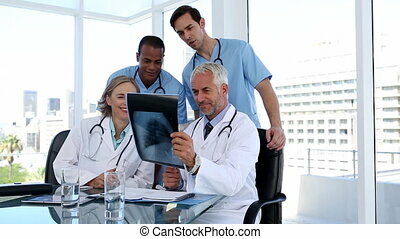 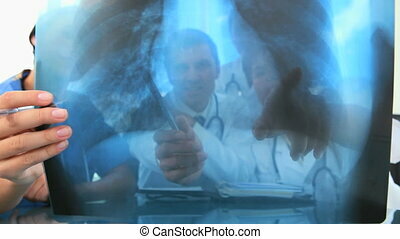 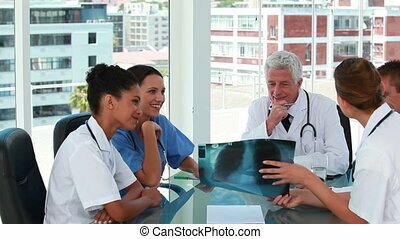 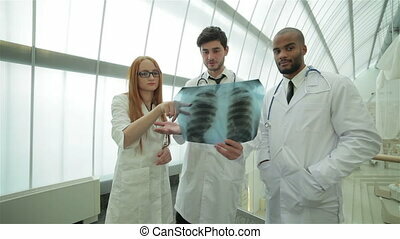 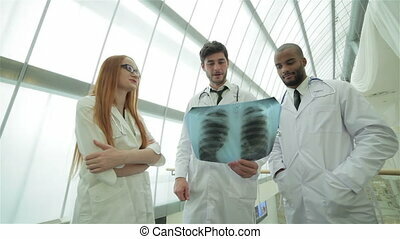 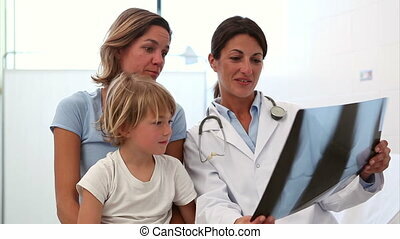 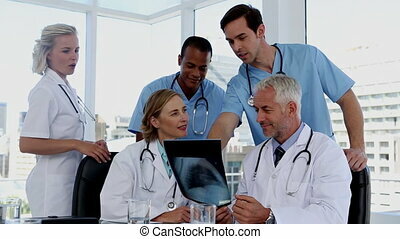 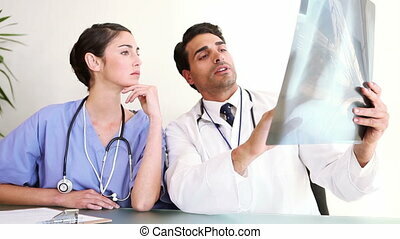 Three confident doctor examining x-ray snapshot of lungs.